There's nothing I love more in the spring/summer months than a burger right off the grill. Well, that's a lie. I also love margaritas. And eating dinner outdoors. And the pool. Picnics are cool, too. And the beach. Okay, I guess I love some things more than burgers off the grill, but it's still pretty high up there. 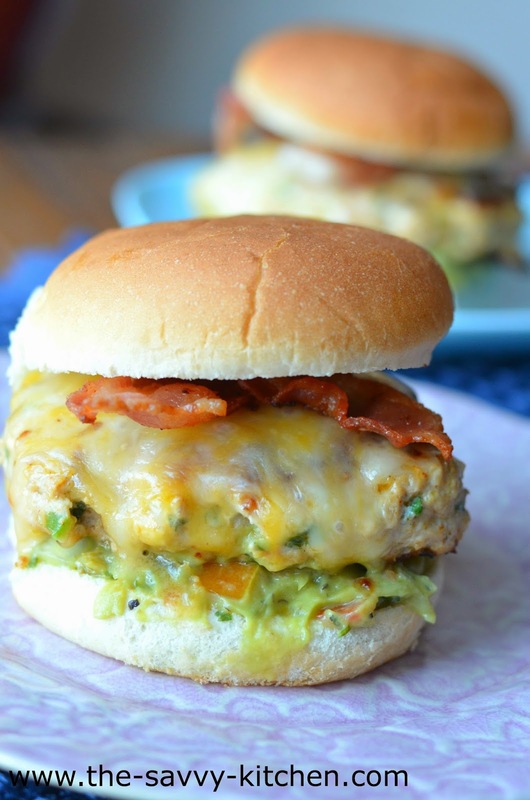 These particular burgers are made with chicken and are packed with traditional Mexican flavors, like onions, cilantro, jalapeño, cumin and paprika. 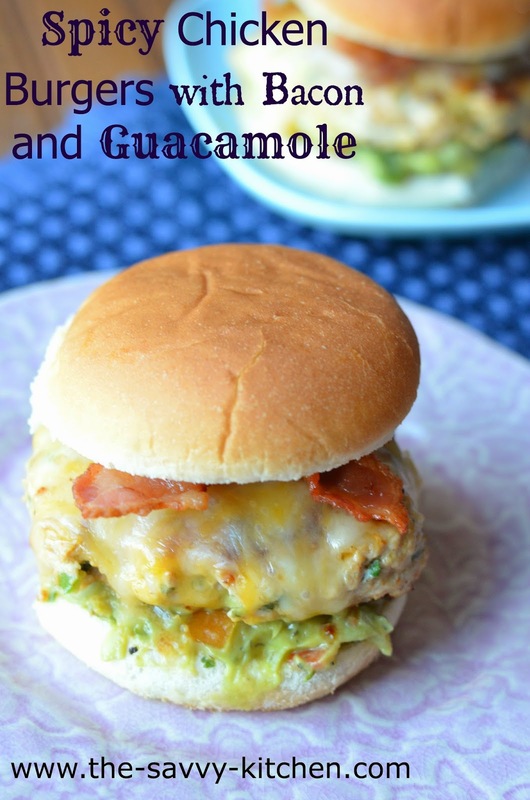 Top these bad boys with some spicy Mexican blend cheese, guacamole and bacon and it's pure bliss in your mouth. Enjoy! Heat an indoor or outdoor grill to medium. Form the mixture into four patties. Grill burgers until cooked through, about 5-7 minutes per side. Add extra cheese on top of burgers 2 minutes before being done. 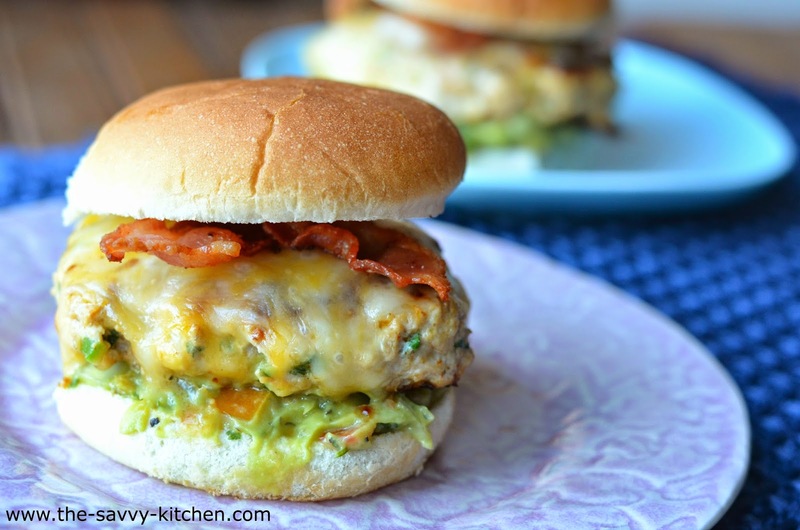 Serve each patty on a burger bun topped with 2 halves of bacon and guacamole. Omg. I want one for breakfast! They look amazing. And I'm with you: there's too many great things about summer to list them!